More information has been uncovered on the James W. Moseley alien hoax. Thanks to the contributers for sharing their information. 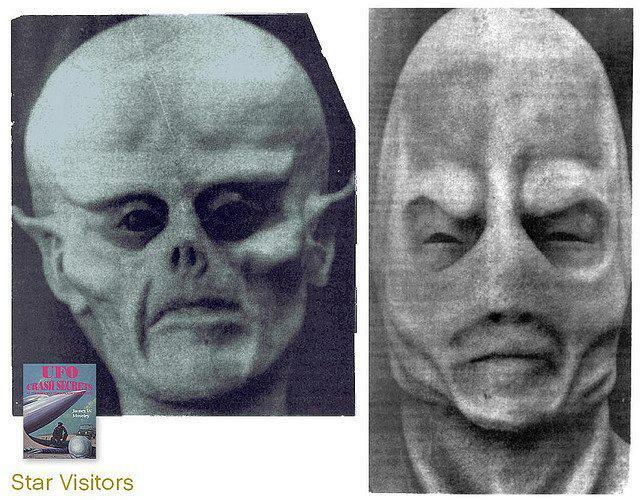 Peter from Monster Masks discovered that Mystery Alien 1 was apparently also a mask produced by R. Quinn studios and was sold under the name "UFO Pilot". So far that is the only picture on-line I have come across of that particular mask. Further important information was pointed out by Curt Collins who runs the blog Blue Blurry Lines. It turns out that Moseley had nothing to do with the alien mask hoax! 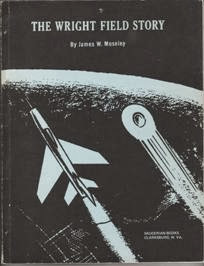 The book was originally released around 1970 as The Wright Field Story and included no pictures of fake aliens. 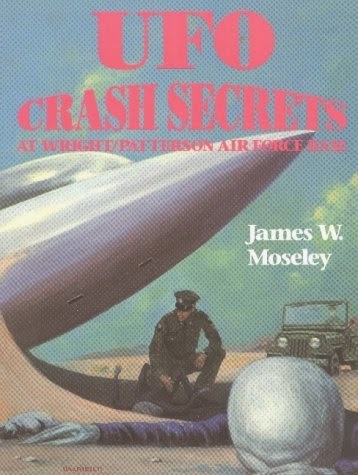 Later, Timothy Green Beckley obtained the rights to the book and after adding a bit of his own material to it, which included the fake alien masks, then re-published the book as UFO Crash Secrets at Wright Patterson Air Force Base. Beckley did not list himself as one of the authors. I also read in this article, that was forward to me by Collins, that Gary Barker ghost-wrote "The Wright Field Story" for Saucer Smear. So, that makes Moseley even further removed from the stories that might of been told in later book. 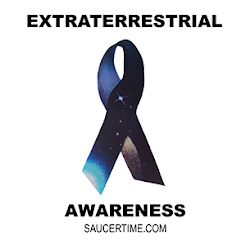 I think this is a perfect example of how confusing a UFO story can get, but with enough people sharing information, the truth can be uncovered. Curt Collins worked has a contributing editor on Saucer Smear's last few publications.